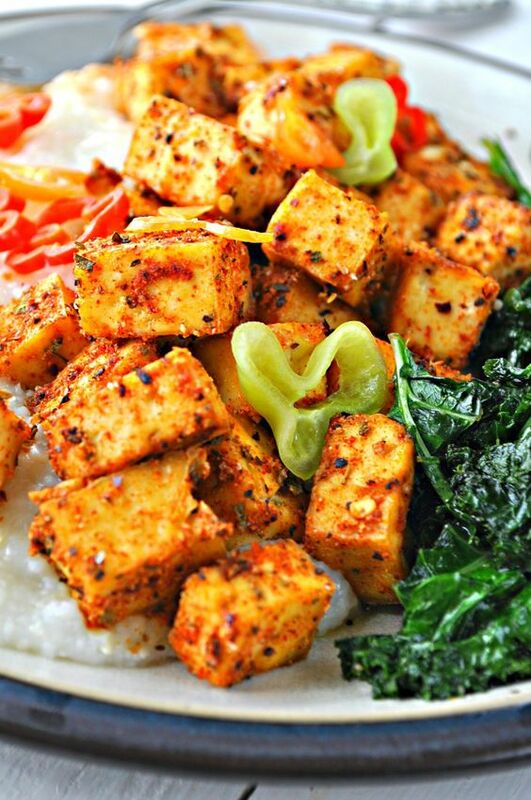 Crispy Cajun spiced tofu served with creamy grits and super garlicky greens. So perfectly spicy and totally delicious! The best Southern flavors made vegan!